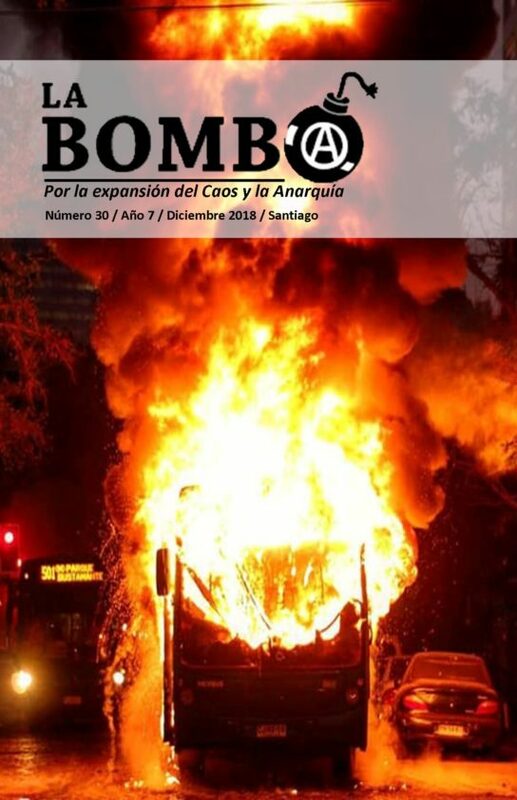 Contribution from La Rebelión de las Palabras for the meeting taking place in Santiago, Chile on 23rd December in combative memory of nihilist-anarchist comrade Sebastian Oversluij, “Angry”. The meeting was also within the context of Black December and internationalist anarchist praxis. 5th year since Sebastian’s death during a bank expropriation. From the Spanish State, we greet first of all the compas that raised the commemorative activity for Angry, to a new anniversary of his death in action when he was trying to expropriate one of the temples of Capital. The noise of the blast that killed him awoke new feelings of rabid sadness that roamed the globe, unleashing actions of revenge, activities in his memory, and that inspired more individuals and groups that from the offensive or not, returned to take a breath to continue on this difficult path. We did not know Angry, nor did we know the political and social context of the Chilean territory where he developed, lived and fought. However, the courage, the determination and the coherent commitment that he showed with his last action reverberate in us, and we also feel affinity with his words, his music with the rap band Palabras En Conflicto, which we know and like, and with his drawings and gestures, contributions that mark his offensive trajectory, feeling honored to be able to participate in this activity contributing the present writing. Como introducción quiero decir que escribo este texto con ciertos antecedentes, nombres de personas y organizaciones para que pueda servir al/la lector/a indagar por cuenta propia más profundamente -si es que lo desean- sobre el fascismo y sus distintos auges en Chile. Esto es una pequeña contribución para la memoria anticapitalista autónoma la cual se va construyendo entre todos/as, esta no es exclusiva de nadie, por lo que se alienta la difusión por todos los medios posibles. Aclarar que las fuentes han sido sacadas desde internet, libros, medios de prensa y propios recuerdos. 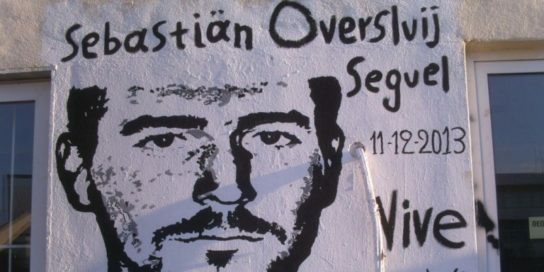 Contribution for the meeting taking place in Santiago, Chile on 23rd December in combative memory of nihilist-anarchist comrade Sebastian Oversluij. 5th year since Sebastian’s death during a bank expropriation. On the 5th year since Sebastian Oversluij`s death in a bank robbery, we keep him present, with all the comrades that are still living with us in our hearts and deeds. Even though we never met Sebastian we are inspired by his actions and life’s vision as he himself expressed it. We are touched by his freedom and energy. The banks and the capitalists are our enemies, and those that attack and expropriate them are our comrades, accomplices and friends. The future belongs to those who struggle for liberation. They hasten the collapse of this prison-world.